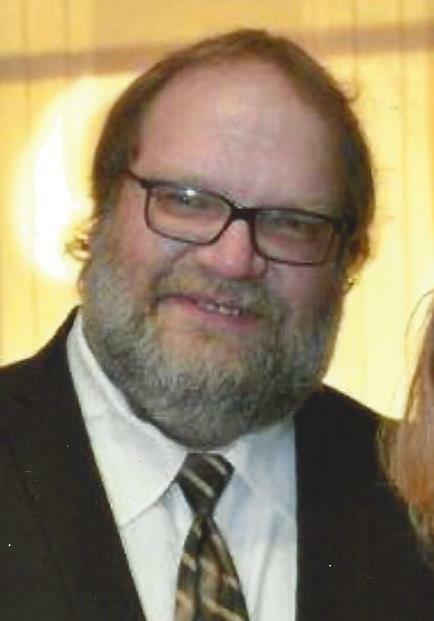 Obituary for Christopher L. "Chris" Marten | Peterson Kraemer Funeral Homes & Crematory Inc.
Christopher L. “Chris” Marten, 50, Town of Berlin, passed away peacefully surrounded by his family on Saturday, April 6, 2019 at the Mayo Hospital in Rochester, MN. He was born May 6, 1968 in Wausau, son of Roger and Cecilia Jean (Check) Marten. On June 10, 2000, he married the love of his life, Lori Breheim in Wausau. Chris became self-employed in 2011, when he opened Chris Marten Auto LLC in the Town of Berlin. One of his favorite hobbies was riding snowmobiles, and he was currently a member of the Devils Creek Stump Jumpers in Merrill. Chris also liked to go four-wheeling, loved to build demolition derby cars and enjoyed a night out for dinner and drinks. Most important to Chris was his family. He was a loving son, husband, father, brother and papa and will be deeply missed by all who knew and loved him. Survivors include, his wife of 18 years, Lori Marten, Town of Berlin; his mother, Cecilia Jean Marten, Wausau; three daughters, Kelsey Kislow, Wausau, Nicole Marten-Spatz, De Pere and Kayle (fiancé Will Loden) Kislow, Rothschild; four grandchildren, Carmen, Christopher, Owyn and Clark; five siblings, Richard Marten, Wausau, Bonnie (Melvin) Sims, Wausau, Gordon (Debra) Marten, Athens, Susan (Edward) Grabow, Mosinee and Steven (Carla) Marten, Mosinee; his father and mother in-law, Richard and Barbara Breheim, Sedalia, MO; brother-in-law, Nathan (Billie Jo) Breheim, Sedalia, MO; sisters-in-law, Charity (Corey) Vuagniaux, Bates City, MO and Carol Marten, Lake Tomahawk; and many nieces, nephews and friends. He was preceded in death by his father, Roger Marten; and one brother, Kenneth Marten. Funeral services will be at 5:00 p.m. on Friday, April 12, 2019 at Peterson/Kraemer Funeral Home, 1302 Sixth Street, Wausau. Rev. Philip Bogen will officiate. Visitation will be on Friday from 2:00 p.m. until time of services at the funeral home.